As you may know, STRESS is one of leading causes for many of the major diseases that we suffer today such as high cholesterol, heart disease, stroke and even cancer. Medical research shows the harmful effects of stress, and that we need to manage our stress now. If you suffer from any kind of stress, this presentation could transform your life. 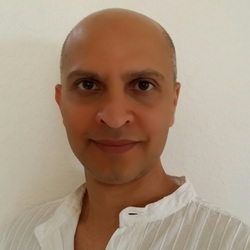 Aditya "Adi" Gir, Founder and Director of Pranoga, is an Indian-born Yogi and an Experienced Registered Yoga Teacher (E-RYT) with Yoga Alliance. A software business owner and a former executive with a hi-tech company, he has now turned his focus to help others live happier, healthier lives. Adi founded Pranoga in mid 2009, and has taught hundreds of students since then. Taking a sincere approach to affect both body and mind, he guides his students to reflect inwards and use their own inner strength to deal with all that life has to offer. Adi obtained his Yoga Teacher certification from the world-renowned International Sivananda Yoga Vedanta Center in upstate New York. He also studied in India with the Art of Living Foundation, Yoga Vidya Pranic Healing Foundation, and the Indian Heritage Society. Adi's mission is to help people understand how the body and mind work together, and how important it is to stay healthy. Affected in the past by work-related stress, he strives to encourage his students to live in the present moment and constantly be aware of how their bodies and minds are functioning.